Want a gift for someone special? Head to ul. 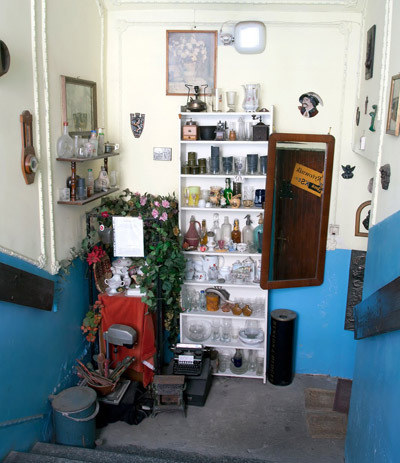 Gasowa 11, where you’ll find a shop that, from the outside, looks like an ordinary door into a block of flats. Step through the chunky door by the Black Jack sign and you’ll find some dark stairs leading to… another chunky door. A bell lets Black Jack know you’re on your way. He sells padlocks (all chunky) and engraves just about anything. Padlocks are useful for securing your bike but, with the right engraving, they can be used to secure your heart too. Lots of Black Jack’s padlocks end up fixed to the railings of the footbridge just around the corner at the end of ul. Mostowa (officialy, Kładka Ojca Bernatka). 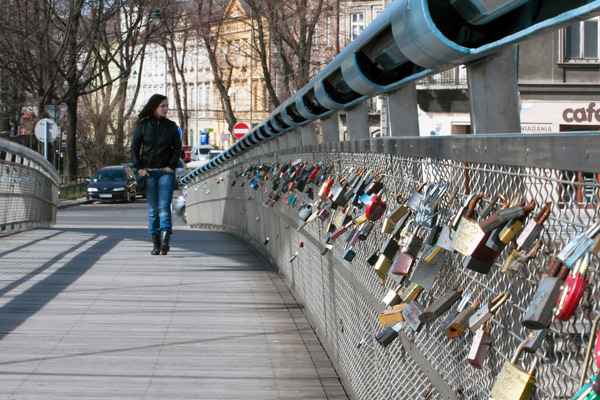 Cracovians have been leaving them here as love tokens since the bridge opened two years ago. 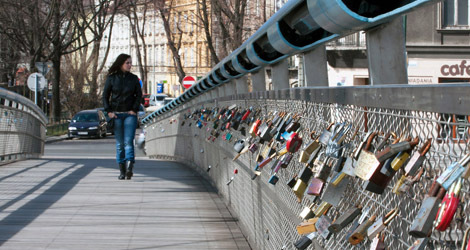 Romancing partners take their symbolic chunks of brass and steel, fasten them to the bridge, then throw the keys into the river below. Unfortunately for the city’s maintenance department, these ‘permanent’ declarations of love do not always stand the test of time. On dark nights, jilted lovers have been known to return with bolt cutters intent on sending the lock to keep its key company at the bottom of the Vistula. Inspired, I had Black Jack engrave one for my special someone. It’ll likely be chained to my bike rather than the bridge, but I loved the extra hearts he added. Well worth the wait.